The Flowerfall Pool Fountain from Dunnrite is just the right touch to give your pool a classic beauty. This wall mounted water fountain is designed for easy installation and quick adjustment. The 20-jet spray nozzle has a 360in head allowing the water to flow in any direction. 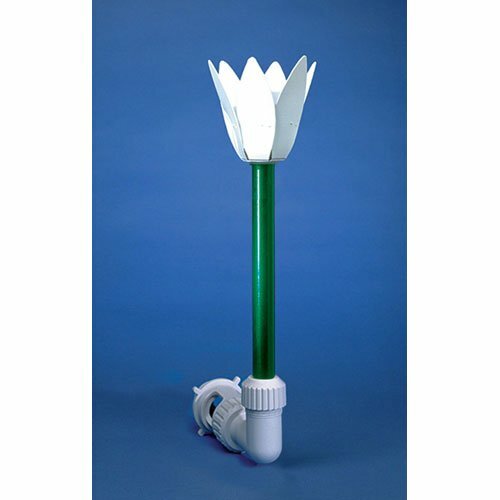 The Flowerfall is compatible with both in-ground and above ground pools. Give your pool that extra something with the Flowerfall Pool Fountain from Dunnrite and makes sure the summers done right! If you have any questions about this product by Dunnrite Products, contact us by completing and submitting the form below. If you are looking for a specif part number, please include it with your message.